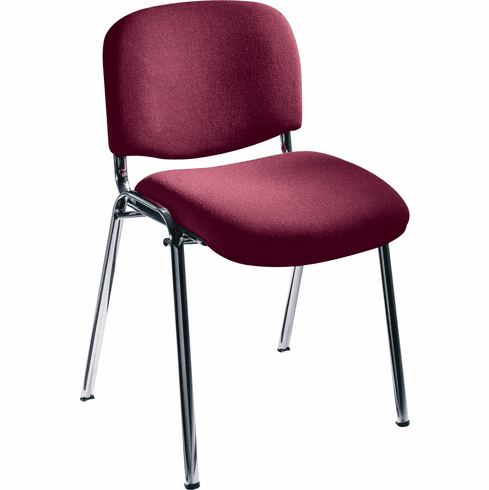 With a delightful array of festive colors to choose from, this Safco Visit Upholstered Stacking Chair has just the right hue for you. Choose from gray, navy, burgundy, black. Constructed with sturdy elliptical tube frames in chrome, these were built to be strong and last long. To protect your floors from scratches and scuffs, plastic floor glides are included. For convenient storage, they'll stack up to 7 high.